Without adequate ventilation systems to stop the smell spreading through the station, gardaí say they are often stuck with the stench of rotting cannabis plants. GARDAÍ HAVE SAID inadequate storage facilities leave them working in stations that are “stinking” of cannabis for days after seizures. TheJournal.ie spoke this week to a number of gardaí who said that, while it is not the biggest resourcing issue in the force, it is another contributing factor to what they feel are substandard working conditions. One said the biggest problem is with cannabis plants as they begin to rot in storage. When drugs are seized, they can be stored for a day or two in a secure area of the station before being moved to a central store. “Everything is secured properly so there’s no danger of anything happening to it but even if it’s in a safe, that stops someone getting into it – it’s not going to keep the stench from getting out,” another officer said. Even after a drugs haul has been moved, they said the smell “would be lingering in the station for days”. Back in 2008, An Garda Síochána began introducing divisional property stores to house all property coming into the possession of gardaí – including drugs seizures. This system has been rolled out over the last number of years but gardaí say there is still a problem at station level, particularly in smaller, rural stations. “Anything that’s being built now would have proper facilities but for the stations already in existence, they’re still awaiting funding so they can be upgraded,” one source told us. The real issue is that many of the secure rooms they’re stored in don’t have proper ventilation so there’s a certain level of drug fumes in the air. It’s the old open window system for a few days until it clears out. At the annual conference of the Garda Representative Association (GRA) this year, a number of gardaí described poor conditions at garda stations in their districts. They spoke of cramped locker rooms, wires hanging from the ceilings, a lack of custody areas for prisoners and inadequate toilet facilities – particularly for female officers. Several of the speakers at the conference pointed out that no other public servants are asked to work in these kinds of conditions, with one remarking it is because gardaí “put up with it”. The Garda Press office did not respond to a request for comment on the issue. 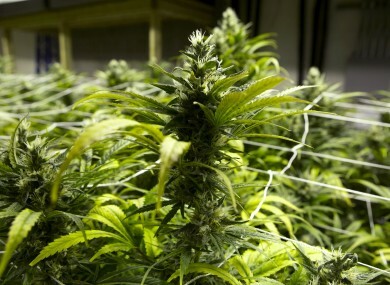 Email “Poor storage facilities at garda stations leave them 'stinking' of cannabis for days”. Feedback on “Poor storage facilities at garda stations leave them 'stinking' of cannabis for days”.